MOSCOW, September 26. /TASS/. The US social business network LinkedIn is fatally losing its audience among Russian users, head of the Russian communications and mass media watchdog Roskomnadzor Alexander Zharov told reporters on Tuesday. "Speaking about the business component, LinkedIn is losing time, failing to comply with requirements of the law [on personal data - TASS] and fatally losing audience in Russia’s territory," the official said. "Even if the decision to return is made later on, the audience will have to be won again," Zharov said. Microsoft, the new owner of LinkedIn, has not yet undertaken specific steps, Zharov noted. "The procedure of ownership assumption is rather lengthy. We will think what to do as soon as it ends," Zharov cited words of social network owners. In mid-November 2016, Roskomnadzor banned LinkedIn in Russia and instructed national telecommunications operators to block the world's largest professional network. 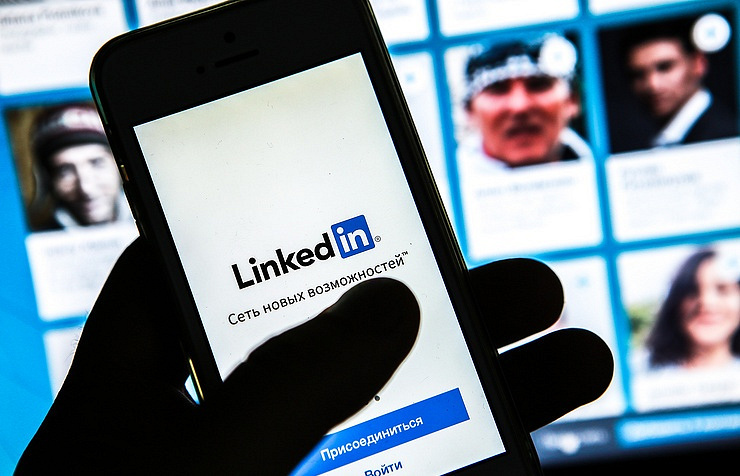 The Moscow City Court earlier rejected the appeal of LinkedIn against its blocking in Russia for violating the law on personal data localization. Under the law, the personal data of Russians should be processed and stored only in Russia. LinkedIn social networking service was founded in December 2002 by US entrepreneur Reid Hoffman, who was vice president of the PayPal payments system. LinkedIn has more than 400 million accounts. In June 2016, Microsoft bought the network for $26.2 bln.